Everyone who ordered the Flying Petals「Capture Book」2011 probably already received it weeks ago but we thought it’d be nice to put up a review for it anyway. 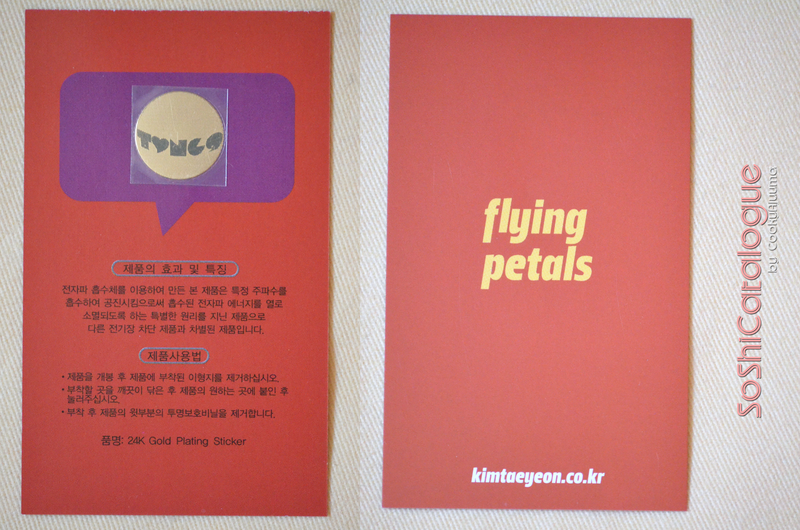 In addition, this review will also give some insight to the quality of Flying Petals’ fanmade goods. This would be useful for deciding whether to purchase any future Flying Petals’ projects. Finally, before we give our comments on the book, we would like to remind our readers that the Flying Petals 「Capture Book」2011 is a book filled with screen captures of Taeyeon. It is not a photobook, i.e. 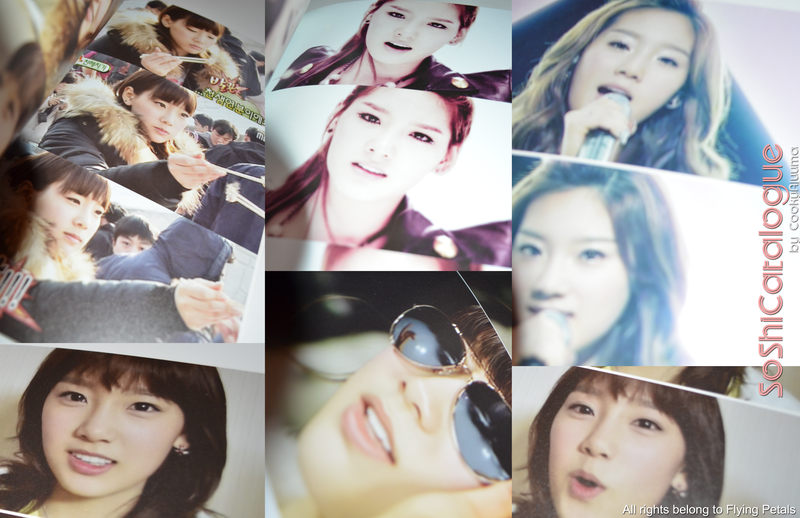 filled with photos taken of Taeyeon. Silly me, I ordered the book thinking it would be a photobook because I didn’t read properly. But I don’t regret it! Continue reading to find out why! Firstly, a comparison photo regarding the size of the book. 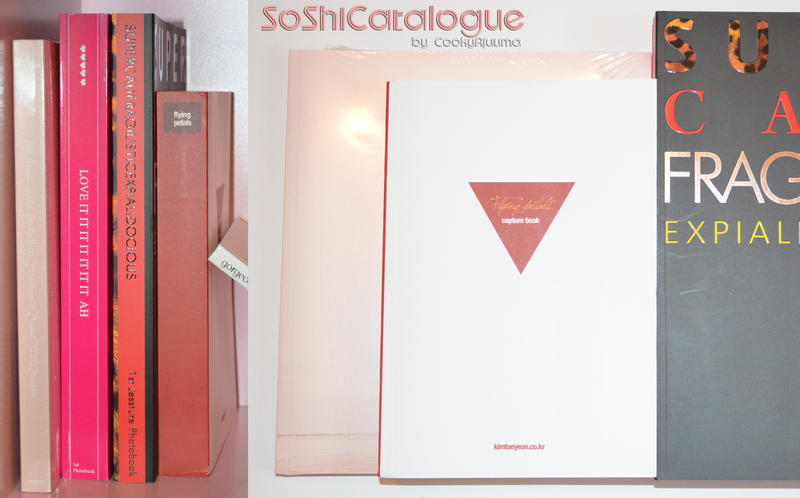 Compared to the 2nd Photobook – All About Girls’ Generation “Paradise In Phuket” DVD Preview, Thsulteo and Jessture Photobooks, it is a bit smaller. However, note that the Flying Petals Capture Book is thicker than the three. The book was priced at $32 USD/per book, excluding shipping. However, with this somewhat “high” price, the book was approximately 300 pages thick filled with hundreds of screen caps of Taeyeon from various shows and fan cams throughout 2007-2011. The screen caps quality are quite high quality, even when printed on paper. The pages are also fairly thick. There is absolutely no text in the book. It is purely filled with screen captures. It also came with a number of extras: a “flying petals Special DVD”, 24k Gold Plating Sticker, mobile phone strap, pen, and photos. It would seem that Flying Petals decided to stay with a “simple but elegant” theme with this caps book. 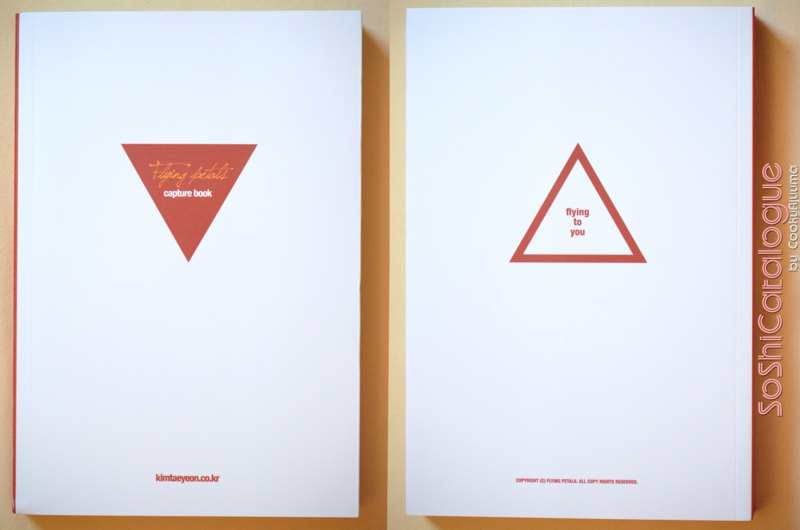 A simple red triangle is printed on the front and back covers with text in red print at the bottom. Although fairly simple, it is definitely not plain but nice to look at. Remaining loyal with the “simple but elegant” theme, the side of the book also contains nothing put a square logo at the top. 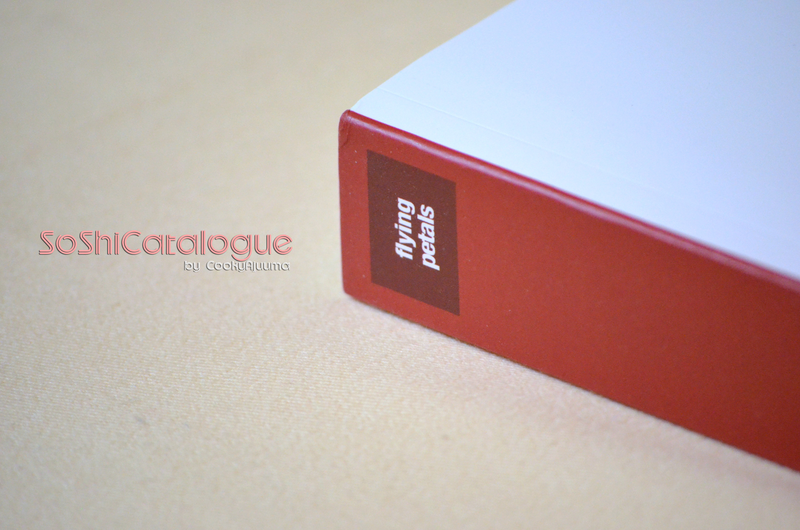 The colors white and red go well together here, adding a elegant touch to the overall look of the book. The 24k Gold Plating Sticker is quite small. Since it’s most commonly used to stick on electronics, its small size is ideal. However, to be honest, I have no clue what to do with the sticker. Nevertheless it is nicely made and was a pleasant surprise. Flying Petals decided to refer to the MR. 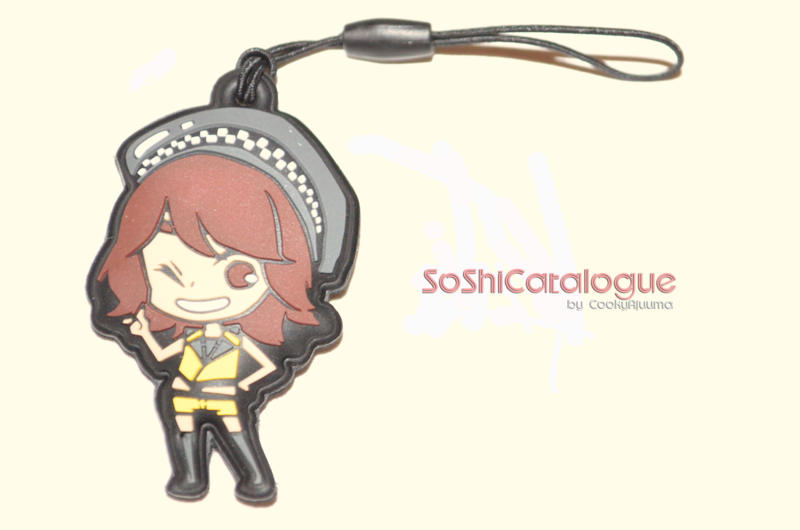 TAXI concept for the Taeyeon cartoon mobile phone strap which I thought, was a wise decision. It is made from rubber-ish material and is also quite small. The pen itself is quite simple. White with “I ♥ TY” printed on the clip and Flying Petals domain in pink on the side. The ink colour is black and the tip is medium point. The quality is what you would expect from a typical freebie pen. The clip’s design made me instantly fall in love with the pen. We personally though that the photos were a nice addition. It’s printed on thick matte paper and isn’t sticky to touch like traditional photo paper. My favorite? Hands down, the one in the middle. That’s my favourite too! Along with the second photo in the first row. If the last photo did not have copyright information printed over it, it would be a favorite too. The DVD contains 7 fan cams taken by Flying Petals over quite a long period of time. If you’ve seen their fan cams on YouTube or other locations, the quality is superb. 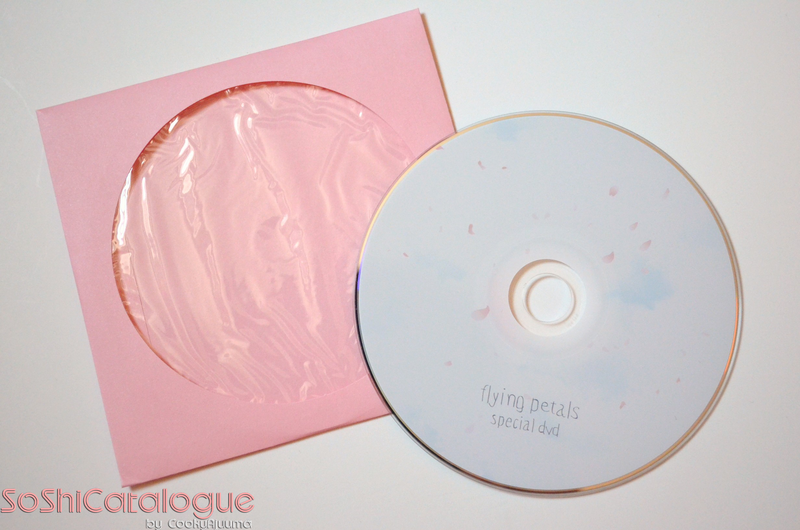 The print on the DVD was quite nice as well, a sky with falling pink petals, finished with a pink paper DVD sleeve. I had a problem with the DVD not working with my DVD player, but it works fine with a pc so that shouldn’t be much of a problem. Conclusion: This book was well worth the $32 plus shipping. The print quality is not SUPER HD but still decent, do keep in mind that these are screen caps. The items that came along with it are of good quality, especially the DVD. The only thing I don’t like is that it’s a little hard to fully open and I’m a little paranoid to open it forcefully since I don’t want to bend the side or anything but that’s probably due to the large amount of pages stuck together. i think i will be hesitant in purchasing any more 'screencapture' books in the future… i ordered the sunshinevillage one which should be here in a few weeks, so we'll see what i feel about this genre altogether. but yea.. from these fansites, i definitely prefer the quality of photobooks. I love it!! I wasn’t expecting the book to be so thick!! True.. the quality of the photos aren’t great. But it does show a lot of taeng from debut until most recent pics and show she has matured over the years. Although her looks haven’t much. hehe. I think it’s a great collector’s item and the extras are a nice bonus. Only with the dvd was longer. But I love it!